Chapter 121 - Archives and History. § 121-4. Powers and duties of the Department of Natural and Cultural Resources. § 121-4.1.  North Carolina Register of Historic Places. § 121-5. Public records and archives. § 121-5.1. State Historical Records Advisory Board. § 121-7.1. Maritime Museum; disposition of artifacts. § 121-7.2. Maritime Museum; branch museum. § 121-7.3. Admission and related activity fees and operating hours. § 121-7.4. Graveyard of the Atlantic Museum. § 121-7.5. Bentonville Battlefield Fund. § 121-7.6. North Carolina Transportation Museum special fund. § 121-7.7. State Historic Sites and Museums special fund. § 121-8. Historic preservation program. § 121-9.1. Lake Mattamuskeet Lodge Preservation. § 121-10. Security of historic properties. § 121-11. Procedures where assistance extended to cities, counties, and other agencies or individuals. § 121-12. North Carolina Historical Commission. § 121-12.2. Procedures for preparing budget requests and expending appropriations for grants-in-aid. § 121-13. Acquisition of portrait of Governor during term of office. §§ 121-13.1 through 121-13.2. Repealed by Session Laws 1973, c. 476, s. 48. Article 2 - Tryon's Palace and Tryon's Palace Commission. § 121-14. Acceptance and administration of gifts for restoration of Tryon's Palace; execution of deeds, etc. § 121-15. Authority to acquire necessary property for restoration when certain funds available. § 121-16. Acquiring lands by purchase or condemnation. § 121-17. Funds deposited with trustee. § 121-18. Closing streets and including area in restoration project; acquiring area originally included in Palace grounds. § 121-19. Repealed by Session Laws 1973, c. 476, s. 56. § 121-20. Commission to receive and expend funds donated or made available for restoration of Tryon's Palace; Commission to acquire and sell artifacts for Tryon's Palace. § 121-21. Commission authorized to adopt and copyright certain emblems and lease or license the use of reproductions or replicas. § 121-21.1. Tryon Palace Historic Sites and Gardens Fund. Article 3 - Salvage of Abandoned Shipwrecks and Other Underwater Archaeological Sites. § 121-22. Title to bottoms of certain waters and shipwrecks, etc., thereon declared to be in State. § 121-23. Department is custodian of underwater personal property of the State and may adopt rules concerning the property. § 121-24. Department authorized to establish professional staff. § 121-25. License to conduct exploration, recovery or salvage operations. § 121-25.1. Criminal record checks of applicants for permit or license. § 121-26. Funds received by Department under § 121-25. § 121-27. Law-enforcement agencies empowered to assist Department. § 121-28. Violation of Article a misdemeanor. §§ 121-29 through 121-33. Reserved for future codification purposes. Article 4 - Conservation and Historic Preservation Agreements Act. § 121-37. Acquisition and approval of conservation and preservation agreements. § 121-38. Validity of agreements. § 121-39. Enforceability of agreements. § 121-39.1. Termination or modification of agreements. § 121-40. Assessment of land or improvements subject to agreement. § 121-41. Public recording of agreements. § 121-42. Citation of Article. Article 5 - Museum and Archives Repository Property. § 121-50. Legislative findings and declaration. § 121-52. Acquisition of title to loaned property. § 121-54. Responsibilities of owners of loaned property; representation of ownership. § 121-55. Museum or archives repository's lien for expenses. § 121-56. Acquisition of undocumented property. § 121-57. Exclusivity of provisions.